In 1964, Mary Pinchot Meyer, the beautiful, rebellious, and intelligent ex-wife of a top CIA official, was killed on a quiet Georgetown towpath near her home. 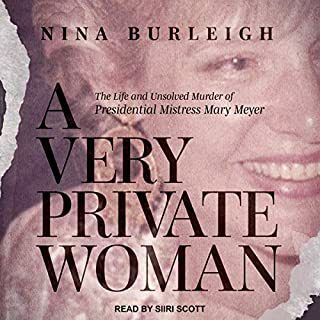 Mary Meyer was a secret mistress of President John F. Kennedy, whom she had known since private school days, and after her death, reports that she had kept a diary set off a tense search by her brother-in-law, newsman Ben Bradlee, and CIA spymaster James Jesus Angleton. But the only suspect in her murder was acquitted, and today her life and death are still a source of intense speculation. 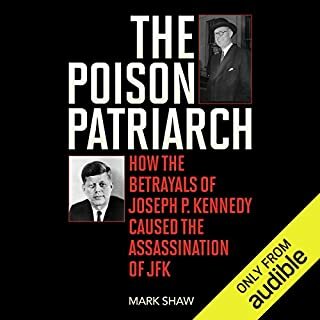 Focusing for the first time on why attorney general Robert F. Kennedy wasn’t killed in 1963 instead of on why President John F. Kennedy was, Mark Shaw offers a stunning and provocative assassination theory that leads directly to the family patriarch, Joseph P. Kennedy. 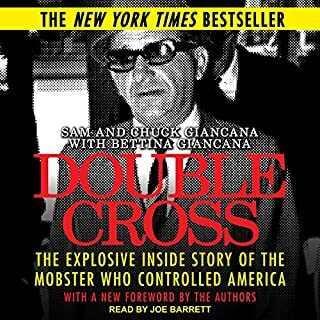 Mining fresh information and more than 40 new interviews, Shaw weaves a spellbinding narrative involving Mafia don Carlos Marcello; Jack Ruby (Lee Harvey Oswald’s killer); Ruby’s attorney, Melvin Belli; and, ultimately, the Kennedy brothers and their father. Why is What’s My Line? TV star and Pulitzer Prize-nominated investigative reporter Dorothy Kilgallen one of the most feared journalists in history? Why has her threatened exposure of the truth about the JFK assassination triggered a cover-up by at least four government agencies and resulted in abuse of power at the highest levels? Denial of Justice - in the spirit of best-selling author Mark Shaw’s gripping true crime murder mystery, The Reporter Who Knew Too Much - tells the inside story of why Kilgallen was such a threat leading up to her unsolved murder in 1965. 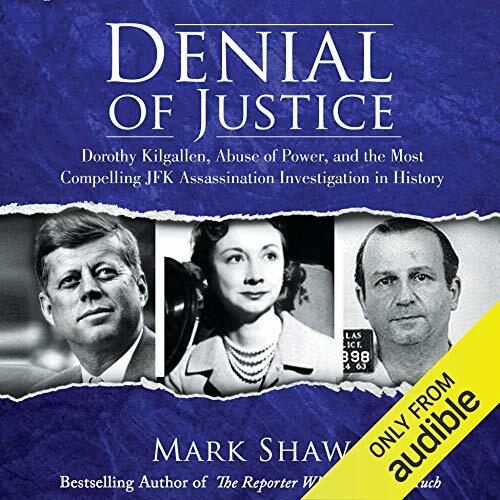 Shaw includes facts that have never before been published, including eyewitness accounts of the underbelly of Kilgallen’s private life, revealing statements by family members convinced she was murdered, and shocking new information about Jack Ruby’s part in the JFK assassination that only Kilgallen knew about, causing her to be marked for danger. Peppered with additional evidence signaling the potential motives of Kilgallen’s arch enemies J. Edgar Hoover, mobster Carlos Marcello, Frank Sinatra, her husband Richard, and her last lover, Denial of Justice adds the final chapter to the story behind why the famous journalist was killed, with no investigation to follow despite a staged death scene. ©2018 Mark Shaw (P)2018 Audible, Inc.
First, the good: the narrator did a superb job with this book. While I feel the author is much too strident, the narrator conveyed his intent I believe as best as possible. I have the author's other books and this one does not at all rise to the same level. Most unfortunately, there is NOTHING substantive about the most compelling JFK investigation. Dorothy may indeed have had compelling information, and she may have been killed for that information, but what she may have had is unfortunately purest conjecture- there is nothing in the book except the previously disclosed facts that whatever she had was either taken by the FBI or destroyed by others. The book is over-filled with conjecture, and even some of the claimed facts cited to foster some of that conjecture do not logically connect. As one example, Jack Ruby being overhead to say he would be there is then inflated by the author to mean-and only to mean- Ruby's intent to be at Oswald's transfer. It could have meant that- or it could just as easily have meant that Ruby was meeting someone for lunch. I do not buy the patently absurd President's (aka Warren) Commission's report-and I have actually read it. I am a forensic and technical person, so I am likely much more detailed in my review of things. Here, again, Mr. Shaw does himself and Dorothy no great service with his repeated hyperbole, and use of terms like shocked when they are not needed and actually are misleading and not helpful. It is with some of this hyperbole that the narrator may get criticized as he conveys that shock and other exaggeration quite well. Note that Audible's comments do not allow quotation marks, so I had to remove those above. It is all too easy to see why the NYC DA's office did not pursue this matter. Politics are, of course, always a part, but when a non-investigator is effectively shouting conclusions, law enforcement folks tend to shut down. Shaw is a good writer; this is far from his best work. I feel he is playing to a hoped-for television audience where facts may not matter as much if at all. This is a very compelling story about Dorothy Kilgallen’s quest to solve the JFK assassination and her mysterious death. Unfortunately, the story bogs down by the author’s continual rehashing of information already presented in the book. It is as though the author doesn’t think the reader is smart enough to remember that Kilgallen died of an overdose of a strange combination of three drugs. He repeats the fact, along with naming the three drugs over and over. The date of her death is also repeated numerous times, when the date itself offers nothing to the narrative except to add to the word count. There are numerous other examples of this throughout the book. As late as he epilogue, the author is reminding the reader / listener that ‘Dorothy Kilgallen’ (don’t we know her name by now?) 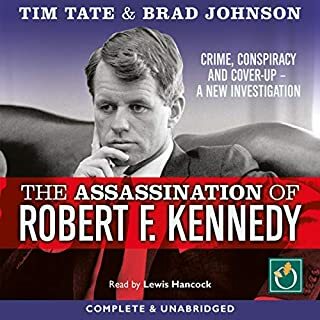 was investigating the ‘assassination of John Fitzgerald Kennedy’ (as has been mentioned numerous times and as though we might not understand that she wasn’t investigating the assassination of some other president named Kennedy). The book certainly brings up many points worth pondering. But the writing style, and the author’s tacit indications that he’s the only person who cares about truth, gets in the way of a thought-provoking narrative for consideration. I read Lee Israel's book many years ago on Kilgallen because I always enjoyed her on television. Looked recently at some old episodes of 'What's My Line?' on YouTube, enjoyed her again on there. Purchased this book thinking there might be new information regarding her unfortunate death. Nope--this is just a toss-up of silly chatter, flattery, and all around trash talk. Really, really regret the purchase. Well read, though, good performance. 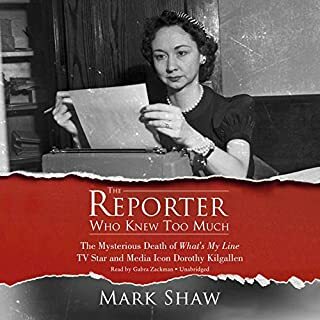 Having previously read The Reporter Who Knew Too Much, I was at first skeptical that there could be anything to add to this compelling story regarding the mysterious death of Dorothy Kilgallen. I was WRONG! Author Mark Shaw has gone far beyond my expectations. His exhaustive, meticulous research results in a book that would do Dorothy herself proud! We are given a portrait of a brave woman, flawed as she might have been at times, who nevertheless did not deserve the fate that she received from persons unknown who wanted to silence her. If you get nothing else from this book, I am certain you will come away with a deeper respect for this woman whose extraordinary efforts to bring out the truth in her work have been underrated for decades. To those who only remember Dorothy Kilgallen as a media star of the fifties and sixties, this account of her life and death will astonish you. Mark Shaw is to be commended for all that he has done so far in his efforts to secure justice for Dorothy, and his continued efforts in this extremely difficult and uphill battle should be applauded. With fine narration, this is a great listen -- HIGHLY RECCOMENDED! This is a great book, it has it all!! There was nothing. Over & over, nothing. The performance was so irritating I had to force myself to go on. The story was drab and amazingly uninteresting. I kept thinking that eventually there would be a fact. Or some true backup-info to the droll that just went on and on. First I kept on in order to have a reason of substance that made this such a poor book. Color! Smell! Texture! Etc. There was none. That's it. No adjectives. Bland garbage. Also there was a supposed damning interview with Jack Ruby that never showed up. Additionally, the subject character is just not interesting at all. A boring Republican valuing the least interesting parts of American culture. This is such a worthless book that I feel ashamed for having persisted. At least I finally discovered just what it was that undermined the effectiveness of the already boring story. I cannot say it enough that the reader is terrible. There are no words for the droning on and on of this voice from Uranus. Frozen in tone and variety. Ugh. Bleh. Having listened to both of Mark Shaw's books on Dorothy Kilgallen I found this story most intriguing. As a Boomer I was familiar with her name from the "What's My Line?" program, but had no idea how popular and influential she was. 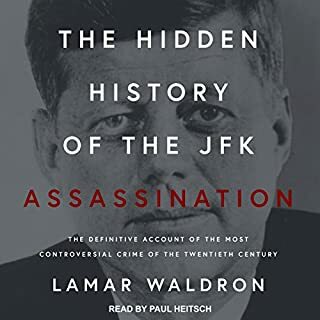 And, as many citizens of this country I was riveted by the connection to the JFK assassination. This segment of the story flows better than the first tome as the first one seemed to jump all over the place with information. As for the reviews regarding the narrator, he does start out with a tone that is a little over-enthusiastic, at first, and he mispronounces some key names, but as time goes on he settles into a better presentation of the material and corrects his mispronunciations. If you want another piece of the JFK puzzle to consider then I highly recommend this story. You'll also learn a great deal about one of that era's most powerful voices.